Nerd, Science person or not, I'm pretty sure you must have heard of some geek person telling how Fibonacci Numbers are their favorite. But you don't get whats so fun about that. I think it's all because of our current education system, where Mathematics is taught as this boring subject. If you were to ask me, Mathematics should inspire and motivate, and it has, but not quite enough people. So, bear with me as i try my best to make it a fun and a good read as possible. Sequence: A sequence is anything that follows a certain pattern. Suppose, your hand is say 10 inches, and grows at a rate of 2 inches per day ;). So, if you were to list out the measurement of each day, would look something like this. where 10 is your initial length and the subsequent numbers are the length of each passing day. When these numbers are taken collectively, it is called a Sequence, and the individual numbers are known as elements. So, the terms of the sequence follow a certain pattern. The Prime Numbers, the Even Numbers, the Natural Numbers are all a type of sequence. Mathematics is fun when it can be related to an event. Suppose, if i just wrote the numbers above without telling you that it's the length of your hand, it could have meant anything as well as nothing. Anything for a wandering mind, could be a set of natural numbers, integers, even numbers. Nothing in a sense that they don't mean anything, don't convey anything and only are numbers. And I think people loose interest when they are taught in this way and are only hard wired to solve problems. Only the most famous sequence ever! Named after an Italian Mathematician, Leonardo of Pisa, better known as Fibonacci. He is credited for introducing the series to the Western Mathematics even though the sequence had already been described earlier in Indian Mathematics. A series of integers, where the next term on the sequence is the sum of the preceding two. The first two elements in the series are 1,1 ( I was taught 0, 1 but it's the same). 1, 1, 2, 3, 5, 8, 13, 21, 34, 55, 89, 144, 233, 377, 610, 987.. to infinity and beyond. So, these bloody numbers have got nerds pumpin'? What's so special about these numbers. Find out in the next episode of DragonBallZ. Haha. Before that let's look at how our guy Fibonacci came up with these strange numbers. So, apparently rabbits are what made him to discover this sequence. How? He just, you know watched Rabbit Reproduce. 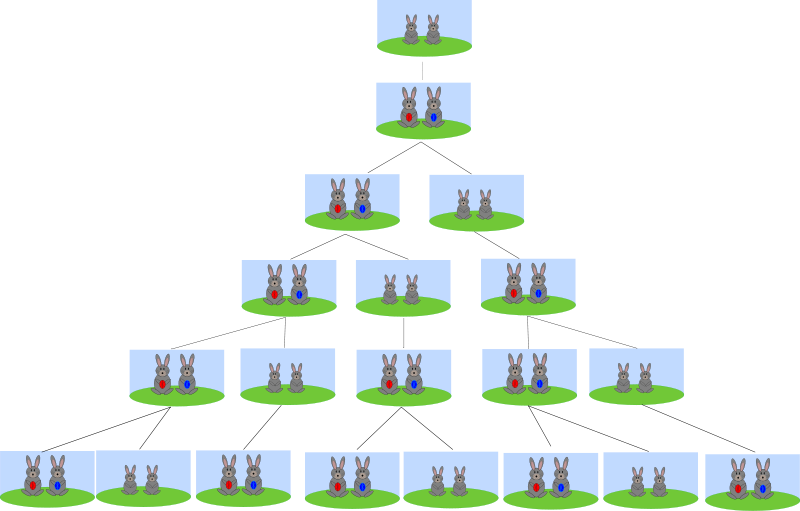 MONTH 5: 8 (Did we count the number of pairs of rabbits? Oh! Hell NO, We know Fibonnaci Sequence) and so on. Before we start Judging our Guy Fibonacci For his Sick Fetishes, he did it for SCIENCE. And for Science to Prosper, Sacrifices have to be made. 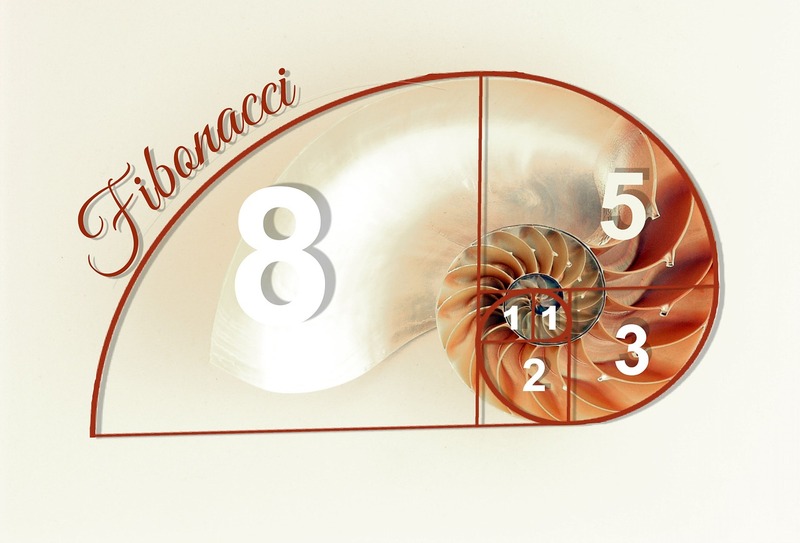 Now we know what is a Fibonacci Sequence and how it came about. But still, the answer to what's all this fuss about has not been answered. All because we observe these numbers in nature quite often. Let us see some examples. 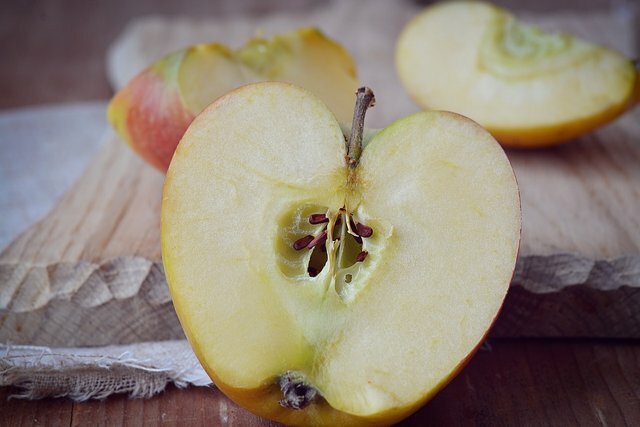 Take an Apple and cut down the middle. How many seed pockets do you see? 5! 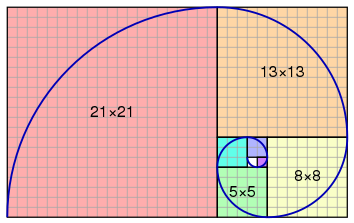 A Fibonacci number. Figure: Number of Seed Pockets in an Apple. Count the numbers of petals on any flower. 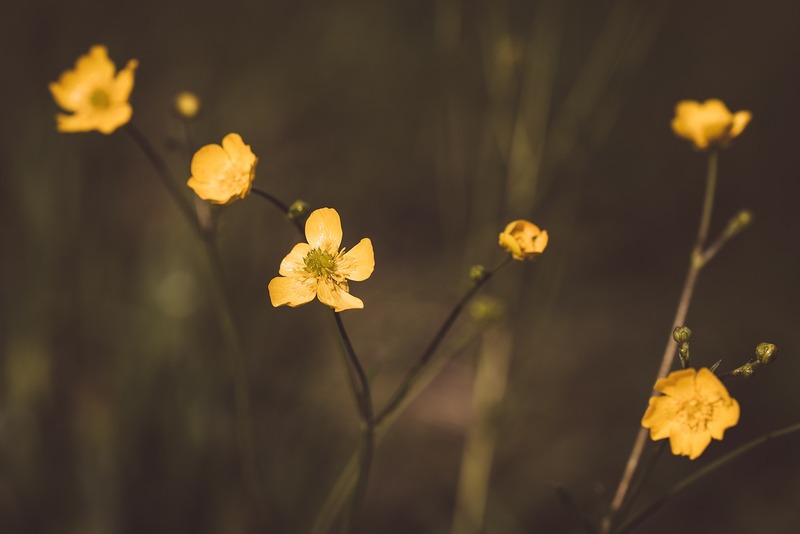 It's high chance that they are either 3 (lily) in number or 5 (Buttercups) or even 34 (Daisy). Count the number of branches in a Tree. Highly likely that it's going to be a Fibonacci number. Exceptions are always going to be there. Nothing/Nobody is Perfect. A lot more examples but first, we need to learn some extra stuff to understand them. As the name suggests, it is basically a rectangle of what? The Fibonacci Numbers! We've the sequence: 1, 1, 2, 3, 5, 8, 13, 21, 34, 55, 89, 144, 233, 377, 610, 987..
First term is 1, so we draw a square of 1x1 dimension. Second term is also 1, so again draw a square of 1x1 dimension attach it to the first square. Now we have a 2x1 rectangle. Thid term is 2, so we draw a 2x2 square and attach it to the first two squares (to the 2x1 rectangle). Now we have a 3x2 rectangle. Fourth term is 3, so we draw a sqaure of 3x3 and attach it to the 3x2 rectangle. Starting with the small square and gradually moving in the ascending order to the bigger square, draw a quarter(1/4) arc from one corner of the square to the other, with the radius equal to the side of the square. Continue doing this till you reach the end point again ;). What do you get. 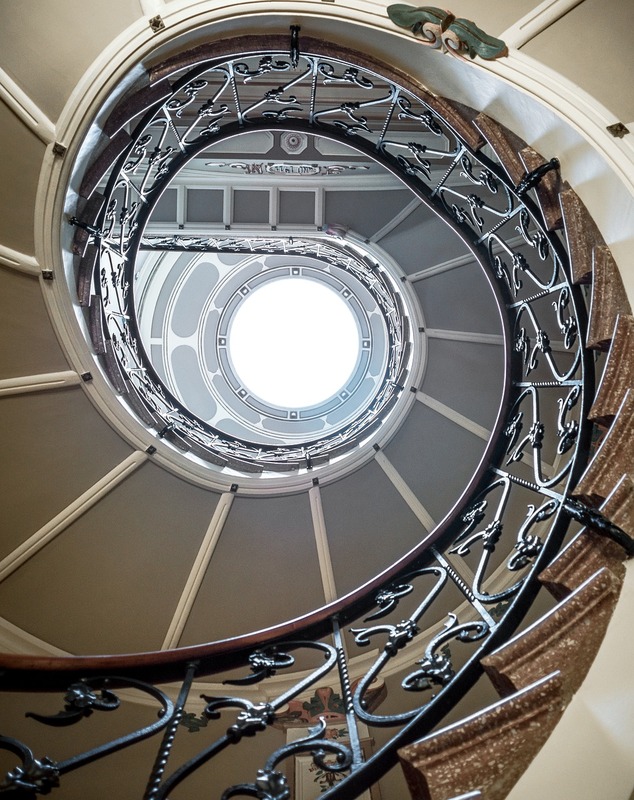 A Nice and Tidy looking spiral, which is known as the Fibonacci Spiral. Why did we do this? What is the significance? This is also observed in nature. Where? Let me present you with some more examples. Also found in Pine cones. Probably, the most famous ratio ever ;). 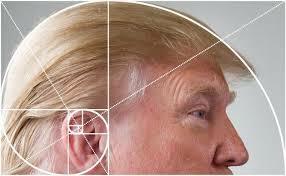 Before I define the golden ratio, let's again go back to the Fibonacci Sequence. Take any two consecutive numbers of the series, and divide the higher term by the lower. And if the ratios are written down in order, this is what we get. 1(1/1) , 2(2/1) , 1.5(3/2), 1.6667(5/3), 1.6(8/5), 1.625, 1.6153, 1.6190, 1.6176, 1.6181, 1.6179, 1.6180, 1.6180, 1.6180, 1.6180, 1.6180, 1.6180(you get the gist) and so on.. This constant value of 1.6180 is what is known as the Golden Ratio. After the 12th ratio, no matter what consecutive numbers of the sequence we take, the ratio we are going to get is always going to be 1.6180. Plotting a graph of the ratio, Look at the trend! This ratio also can be observed in the Fibonacci Rectangle above( why not, since they are made up of the Fibonacci Numbers). The Human Face: The mouth and the nose are positioned at the golden position of the distance between the eyes and the chin. The length of our fingers. So, Fibonacci are somewhat Nature's numbering system. Your observed/made something following the nature or the Nature following something you made/observed. A matter of perception and debatable but A Beautiful Feeling Indeed. If this doesn't get you going then I don't know what will. If you enjoyed the sequence above, you're in for a ride. The properties of these are even way Cooler, or as my friend @eyedeology in his own swaggy way'd say, NOICE. Let's add two consecutive squares. 9+25 = 34 (Also a Fibonacci Number), You get the general Idea. Aren't they Fascinating or what! Is one of the simplest code to write. No Copyrights were Violated. Free Images labelled for commercial and non-commercial purpose were used. One of the best posts I read till now. Funny thing is that Fibonnaci is used in the price predictions of cryptocurrency. Here is a picture to think about. Haha. This proves either of the two things, either Illuminati is real or the people who made Trump's Toupee are into Mathematics. I heard about this sequence when I was reading dan brown. Thanks for the information! Haha, you'd already checked out my post. Man I just read your Donald Mice post and was asking you to check out the comment section of this post to find out why his Toupee is like that. Also the money making thing, I"m currently researching it, but will take some time, EXAMS! P.S. Sorry I did not see the comment sooner. 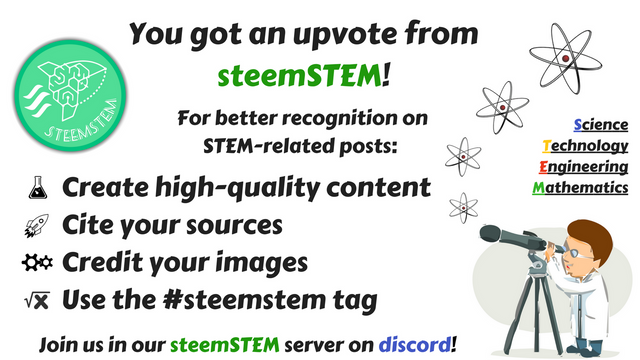 Notification and GUI is what Steemit lacks right now. I work with a device called the Music of the Plants, which is a kind of musical instrument for plants. Right now, it uses the major scale, like many musical instruments, but there is a sonic artist and plant electrophysicist that has been wanting to develop a device that works on the Fibonacci scale. He reasons that since plants grow this way, then it would be a more natural way for them to make music. I have always wanted to test his theory! Thank you for explaining and for your fun examples! I agree that many people don't grasp math easily because it's just too abstract. It's the reason why I had the best grade in Geometry but the worse in Algebra when I was in high school. Even now, I try to use any new math concept I learn in practical problems/applications or it's just way too abstract. Thank you to you too, for you read a such a long post :) Haha, Yeah, I get you. Without physcial significance and all you'd get bored easily. But when you get to see it working, It's just amazing. Maybe I Sound like a geek and all, which I am, but yeah. haha. But the motivation is what counts. Glad you're doing that, most of us would be like, heh! What's the use of knowing Calculus, if i'm never going to have to use it. But i get that too, the system has to changed, at least in my country. This is a great article! keep doing these sorts of things, you really explained the facts in a clear and easy to understand manner! Please keep creating posts in this manner, as a felow science geek I find this extremely helpful to digest. Keep it up, perhaps my vote is not worth that much, but anything helps I hope. Haha mama yestai ho aba. @singhbinod08 : Wonderful article buddy! :) You have put in great effort and it reflects. Congrats. :) I think the discord link is expired. You may edit it. hey @dexterdev. Thanks buddy :). Ah! Also thanks for pointing that out. :) Edited.